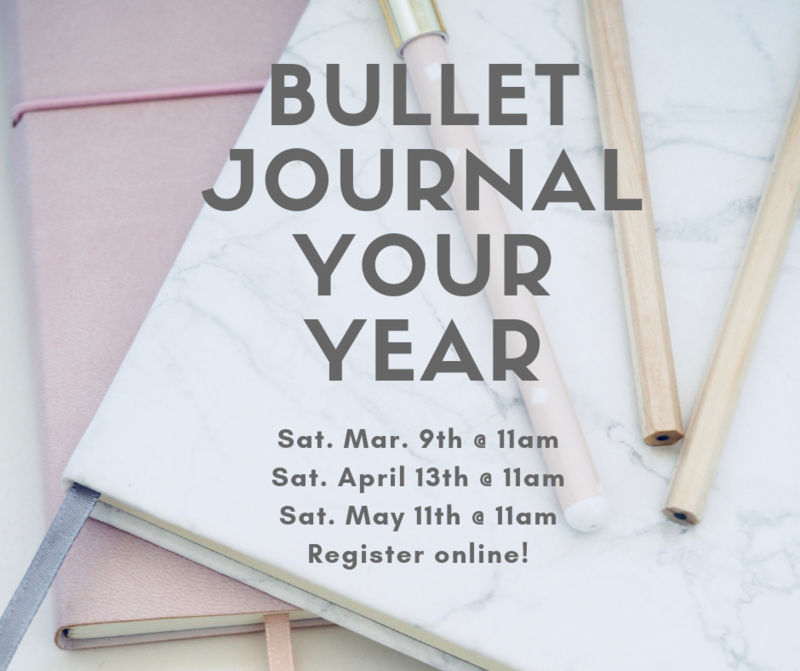 Our Bullet Journaling class continues in April! Our next class is April 13th @ 11am! Learn about how Bullet Journaling can assist with Self care! We will also be talking about how to use washi tape in your journaling!